Click here to visit the Oscar Mayer facebook and like them. Then on the “Taste-A-Monials” tab, click “Take Me To The Pulled Pork” and submit a review on one of their products. 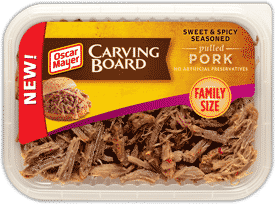 They’re currently offering a $2 coupon, but if enough people submit a review, we’ll all score a coupon good for a free Oscar Mayer Pulled Pork product.